INDUSTRY.co.id - Jakarta - State-owned oil and gas company PT Pertamina expressed its readiness to contribute to the national energy mix target of new and renewable energy (EBT) of 23 percent by 2025. President Director of Pertamina Elia Massa Manik in a release in Jakarta, Monday (11/12/2017) said EBT increasingly heavily developed by many countries in the world including Indonesia. Diversification by utilizing the natural resources, he added, is expected to become the main energy source in the future. "Therefore, Pertamina is committed to develop the abundant energy potential in Indonesia," he said in a limited seminar "Renewable Energy Development" in Jakarta recently. According to him, according to the General Plan of National Energy (RUEN), the government sets the EBT mix in 2025 by 23 percent. "Of course, the fulfillment of those targets requires the consistency of many parties in order to achieve this figure, which is where Pertamina shows its role towards the target," he continued. Massa added a number of efforts by Pertamina in developing EBT among them in cooperation with various parties such as in the procurement of electrical resources. The move is believed to increase the acceleration of technological development for the availability of new energy. Meanwhile, in the medium term target, Pertamina's EBT development is focused on geothermal, bioenergy, and solar panels. He said Pertamina's preparations to develop renewable energy are already listed in Pertamina's mission, which is a challenge as a world-class energy company by 2025, not just focusing on oil and gas issues, but also on EBT. According to him, the development of EBT in Indonesia should be discussed frequently with various parties to encourage as well as to mapping the diverse needs of EBT that can be developed in Indonesia. "Indonesia has the potential of EBT that has not been widely used, especially with the target achievement of EBT in 2025 by 23 percent should be reviewed again.To achieve the target tesebut must be clear mapping, for example where the source of wind energy in Indonesia as needed, so also solar energy must be in place suitable to be developed," he explained. Alternative energy potential in Indonesia is estimated to reach 443,208 MW, but the utilization is only 8,216 MW. "Geothermal", said Massa becomes one of the potential of EBT that can be utilized to make energy transition, so the availability of energy and environmental cleanliness can be maintained. According to him, Pertamina has managed to increase the production of "geothermal" by 31 percent ie 2932 GWh. "This achievement has become one of the benchmarks of Pertamina's seriousness in the development of environmentally friendly EBT," said Massa. Similarly, he continued, Pertamina's seriousness in the development of biodiesel. 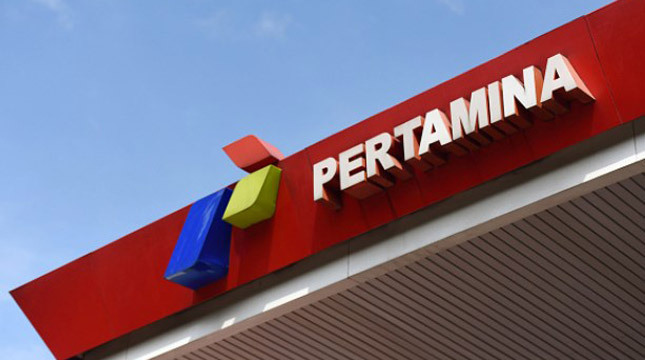 Pertamina now manages the operation of biodiesel supply at 60 terminals across Indonesia. In 2016, domestic biodiesel consumption reaches 2.7 billion liters and by 2020 is projected to reach 3.9 billion liters of biodiesel through Biodiesel 30 (B30) program. "The challenge will arise in the implementation of achieving the Biodiesel 30 standard that will be implemented by 2020," he said. On the other hand, he said, solar panels are now being applied in the operational areas of Pertamina, office areas, special economic zones, and industries. Massa added that Pertamina's efforts must be fully supported by the government because the synergy between business actors and stakeholders is needed for the achievement of a good investment climate. "The policies issued by the government are also expected to keep the energy industry growing rapidly, so that economic development and environmental sustainability can be quickly achieved," he explained. According to him, Pertamina is tasked with encouraging Indonesia's energy independence, also strives to undertake the initiative by exploring the problems that challenge the development of EBT and bring solutions for its development in Indonesia. Related to that, on 12 -13 December 2017, Pertamina again held Pertamina Energy Forum (PEF) as part of a series of Pertamina's 60th Anniversary celebration with the theme of Striving towards Sustainable Energy. Entering the fourth year, PEF 2017 has a theme of sustainable energy as the shifting of the world energy industry map shifts toward sustainable energy use. In the country, the demand for the development of renewable energy sources is also increasing, along with the decreasing fossil energy reserves. PEF will present speakers who are energy experts from various institutions at home and abroad including the Ministry of ESDM, International Energy Agency, and Center for Strategic & International Studies US, Shell, Panasonic, Marubeni Corporation, Boston Consulting Group, Patriot Energy, Mitsubishi, and Toyota. The activities also presented Minister of Economy Darmin Nasution and Deputy Minister of Energy and Mineral Resources Arcandra Tahar as key speakers.